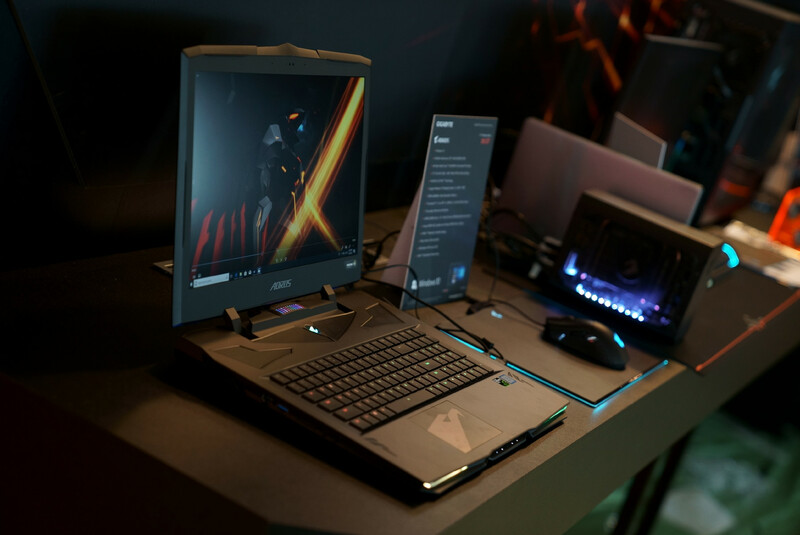 The Sabre series is back with updated features and even Intel Optane support. The chassis design, however, is looking to be identical to last year's model with the only changes being exclusively internal. Gigabyte says it will be the first gaming laptop to ship with Core i7+ CPUs meaning that users can configure with Optane memory to boost HDD transfer rates. 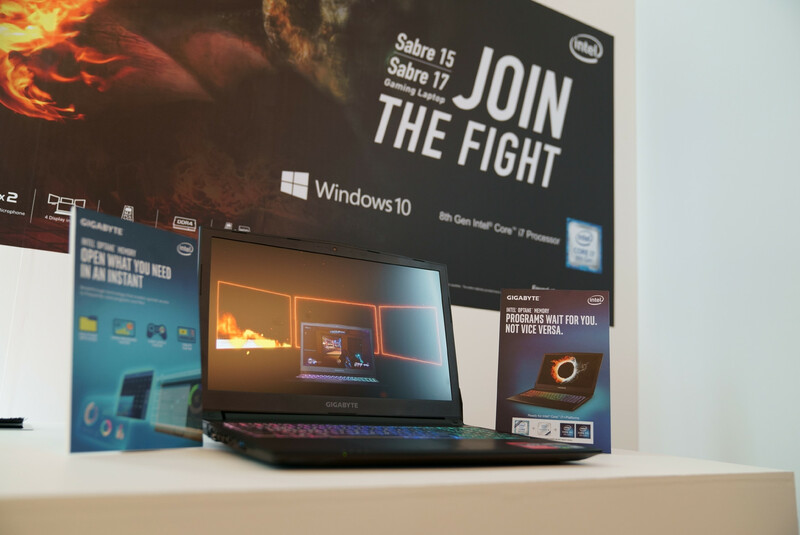 We last checked out the Gigabyte Sabre 15 almost a full year ago and walked away pretty satisfied by its design and features for an entry-level gaming notebook. Ever since then, however, the Sabre series has been AWOL with no new models or SKUs in stock from major retailers like NewEgg. 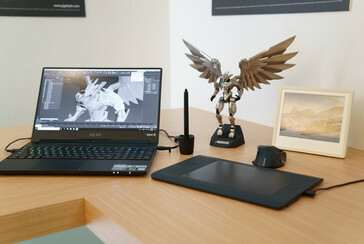 The manufacturer is finally ready to revive the series just in time for Computex with a much-needed injection of performance and features. The first major update is the expected CPU swap from 7th gen to 8th gen CPUs up to the Coffee Lake-H Core i7+. The "+" suffix refers to the integrated Optane memory support to boost HDD performance should users configure without a primary SSD. 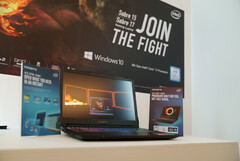 The move should hopefully save budget gamers a few Dollars since they can have SSD-like performance from a high-capacity primary HDD that is paired with Optane memory. The second notable update is the addition of a Thunderbolt 3 port whereas last year's model was limited to USB Type-C Gen. 2. 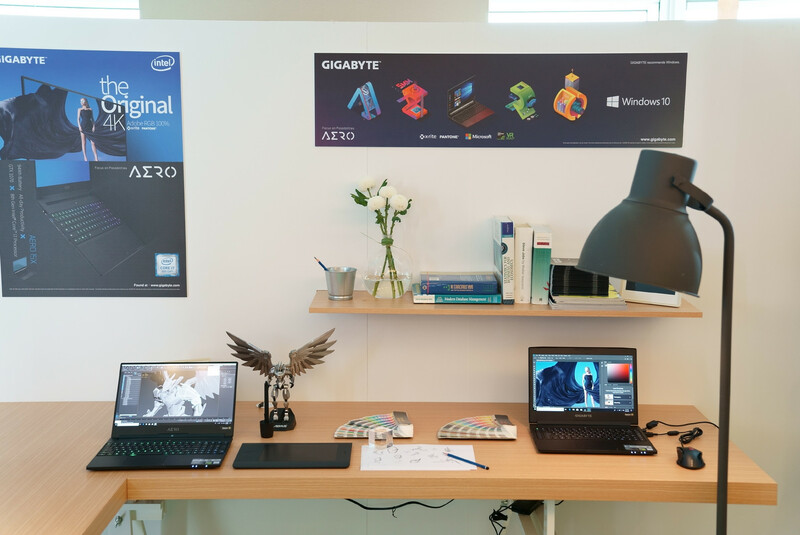 Thunderbolt 3 will allow for external GPUs (eGPUs), 4k60 output, and a plethora of docking stations for expanded versatility. Lastly, the new 120 Hz/3 ms panel option will significantly reduce ghosting and tearing. 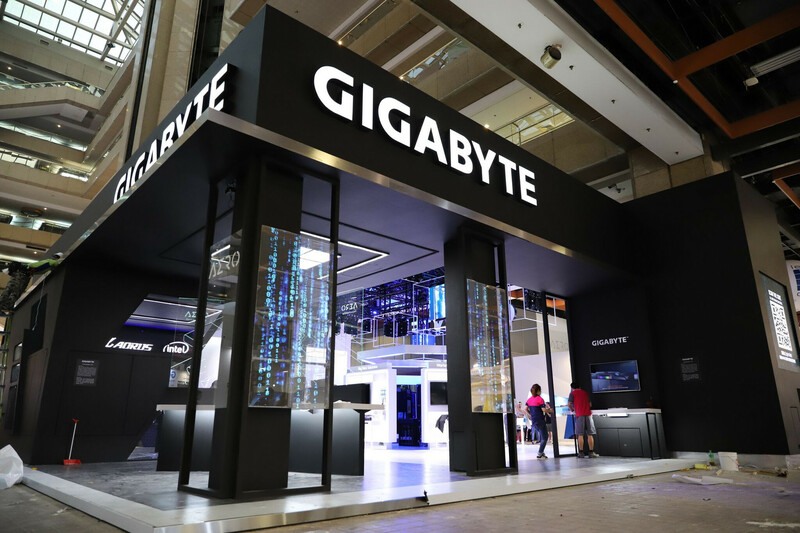 All of these features have been previously exclusive to the Aorus or Aero series and they are now finally trickling down to Gigabyte's mainstream Sabre family. 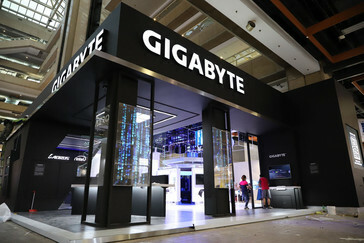 No launch dates or prices have been revealed as per usual from Gigabyte's initial announcements. The Sabre 15 is on display at Computex this week alongside the Aorus X5, X7 DT, and X9 DT with the Core i9-8950HK CPU.